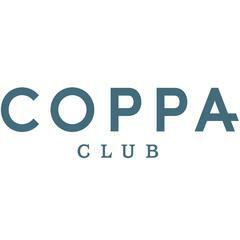 Coppa Club is a place for eating, drinking, meeting and unwinding.<br><br>Housed on the ground floor of a Grade II listed, former Elizabethan coaching inn, Coppa Club features a long, curved pewter bar, original fireplaces, velvet sofas, a separate workspace, and booth and table seating. Outside, a large garden and terrace overlook the water. If you fancy staying the night, rooms are available in the Great House Hotel.<br><br>Our menu focuses on thoughtful, unfussy, European food from small plates and snacks to grilled mains, sourdough pizzas and healthy salads.<br><br>The bar serves carefully-chosen wines, beers and classic cocktails as well as new creations.<br><br>We are open from early morning until late at night, seven days a week. Drop in for breakfast and stay for dinner. No-one outstays their welcome.